It teaches your child to be more open-minded. When your child learns a second language, it expands their horizons as well. They aren’t just learning a whole new second language, but they also have the opportunity to learn about a second culture and point of view. By having more than one view of the world, they can become more open to new experiences, lessons, and other changes. It can open new social opportunities. When your child is proficient in more than one language, their social circle will expand as well. They will have the opportunity to make friends from different cultures and they can enjoy different activities and hobbies as well. They will be able to meet new people and it can help open up a lot of opportunities in their life in the long run. It can be beneficial during travel. Yes, you can still travel and explore different countries without necessarily speaking their language. However, imagine how amazing it would be if you can explore a country while being able to speak their local language? You can experience the culture and place more fully since you won’t be distracted by using your translation apps or phrase books. It can give your child an educational advantage. Research shows that bilingual children have an educational advantage over monolingual students. Being bilingual increases your child’s ability to focus on mental tasks, it helps them as they learn to read, and it can help them develop stronger skills in their primary language and their secondary language. It can be beneficial for future job opportunities. When your child grows older and they start to explore job opportunities, being bilingual can increase their job prospects. After all, many jobs consider bilingualism as an important skill in their employees. 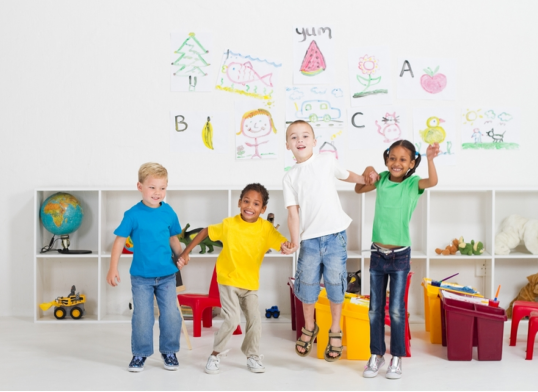 So, if you are looking for a Child Day Care Center that encourages dual-language learning, contact us now at 718-466-1604. This entry was posted in Dual-Language Learning and tagged child day care center, Dual-Language Learning, early childhood education, early education, preschool education. Bookmark the permalink. Thank you, Timothypeds for your comments.